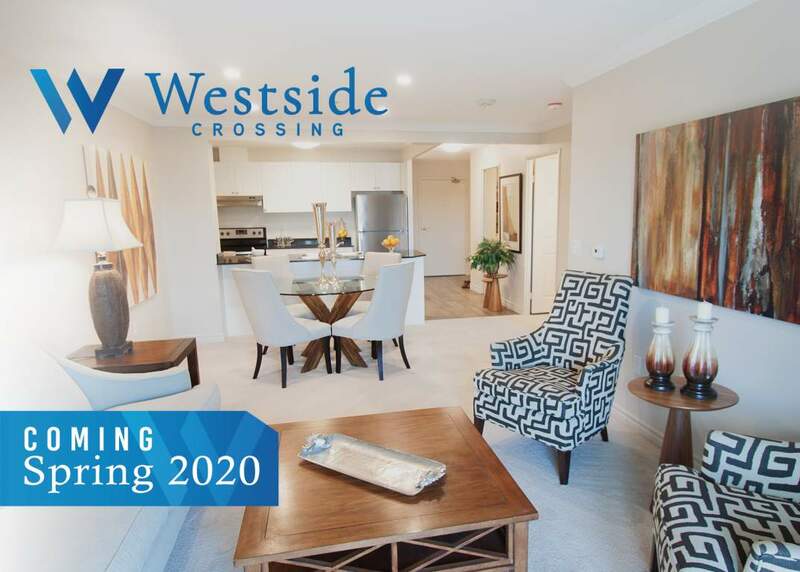 Drewlo's upcoming tower, Westside Crossing, is a North West London Apartment. It will feature luxury touches and the convenience of a thriving area! Ideally located in London's growing West End, everything you need is within walking distance. Enjoy this rental apartment's upscale finishes. Each unit includes eat-in kitchens with stunning quartz countertops, dishwashers, crown moulding (in the living and dining rooms), spacious walk-in closets, and in-suite laundry rooms. This North West London Apartment will include amenities like a large indoor saltwater pool, hot tub, dry sauna and modern fitness room (Coming in 2021). The building will include One, two and three-bedroom apartments. Occupancy begins mid 2020. Email info@drewloholdings.com to be added to the mailing list.